What is a MOP? MOP stands for Meter Operator, and it is their role to provide and maintain your electricity meter and communications, typically on a five year lease contract. Why do I need a MOP? To enable accurate billing, supplier transfers, consumption monitoring. -Where possible the MOP will utilise a GSM connection. Where a GSM connection isn’t possible i.e. basement location, a fixed line will be used. -For customers on half hourly settlement it’s a mandatory requirement that you have a MOP when taking out an electricity supply. 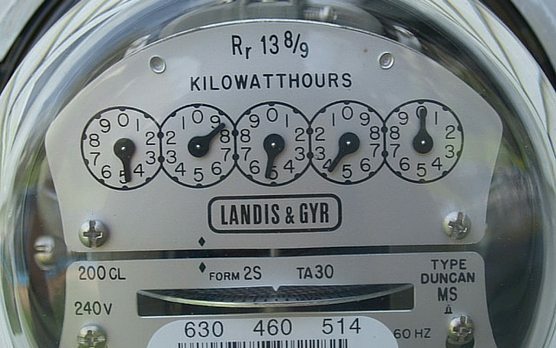 MOPS are required by all new connections of Half Hourly meters, and those newly upgraded Half Hourly meters as a result of OFGEM’s P272 mandate. -MOP contracts are typically valid for a five year term, billed in annual instalments. It isn’t uncommon for clients to forget about their MOP in the interim years. -Failure to appoint a MOP will result in billing problems and may cause delays switching supplier. If you read the T&C of your supply contract you will find a clause stating that a valid MOP is pre-requisite. -If you fail to appoint a MOP your supplier will appoint a default MOP for you, this is costly, and you do not have control. -Your MOP Provider does not have to be the same company as your supply company. -Your MOP contract does not have to run for the same duration as your supply contract, it is common for MOP contracts to run for five years at a time. -It is mandatory for all Half Hourly Meters to have a MOP, appointing your own means you are in control, it will be more economical. Going for the typical five year duration will save you time and money by not having to worry about this in the interim years. Who needs a DC? All Half Hourly Supplies require a DC, if a client doesn’t appoint one, the supplier will apply a default. Avoid double charging by appointing your own and ensuring your supply contracts exclude DC costs. Why do I need a DC? The DC is responsible for the collection and processing of your electricity data and the delivery of that data to your DA and electricity supplier. -This is also a mandatory requirement of your electricity supply.The purpose of a Data Collector is to remotely retrieve, collect, validate and aggregate your electricity usage to forward onto your electricity supplier for billing and settlement purposes. -Depending on the level of service, your contract and your needs, you can access online tools to visualise and monitor your usage, enabling you to control your energy consumption and costs. Take power over your power usage. What is a DA? DA is short for Data Aggregator. Who needs a DA? All Half Hourly Supplies require a DA, if a client doesn’t appoint one, the supplier will apply a default. Avoid double charging by appointing your own and ensuring your supply contracts exclude DA costs. Why do I need a DA? The DA is responsible for the aggregation of your metered data in accordance with industry standards, ensuring it is compiled ready for settlement. -This is also a mandatory requirement of your electricity supply. -The DA isn’t always a service provided by the energy supplier, except for Npower. -If you don’t have your own DA in place, the supplier will appoint a default DA for you. -The DA is responsible for the aggregation of your metered data in accordance with industry standards, ensuring it is compiled ready for settlement. Why appoint your own MOP/DC instead of relying on supplier defaults? The customer has peace of mind that the contract is fixed for a certain term, typically 5 years, and they do not need to revisit it at the point of every supplier change. The customer is also in control of costs as supplier funded options can be more expensive. Contact Direct Power for assistance with MOP, DC, DA contracts and costs. We can help you to take control and save money of what are required services for all Half Hourly Meters.